I get asked all the time what I think about this or that tool. The truth is I’ve been focused on my own tools and ways of doing things for too long. I figured it was time to go back to the drawing board, pretend to be an SEO newbie, and audit many of the existing tools. Gives a Keyword Difficulty score which is great as, with that score, you can compare a variety of keywords and, at a glance and determine what would be a good keyword to work with. By giving you both Domain and Page authority, you can gain insights into how hard/easy it would be to rank for that term based on the competition. By giving you a summary of Page Authority, Page linking root domains, domain authority, and Root domain linking root domains, again you can see what pages you may be able to surpass with great on-page relevancy and which ones may be simply too competitive to compete against. What I don’t like is that it doesn’t suggest other keywords. I wish I could use this tool from start to finish, type in a general keyword, have it generate a number of the most competitive terms, and output a chart with the relevant stats summary. This way all keyword research could be executed within one tool / dashboard. 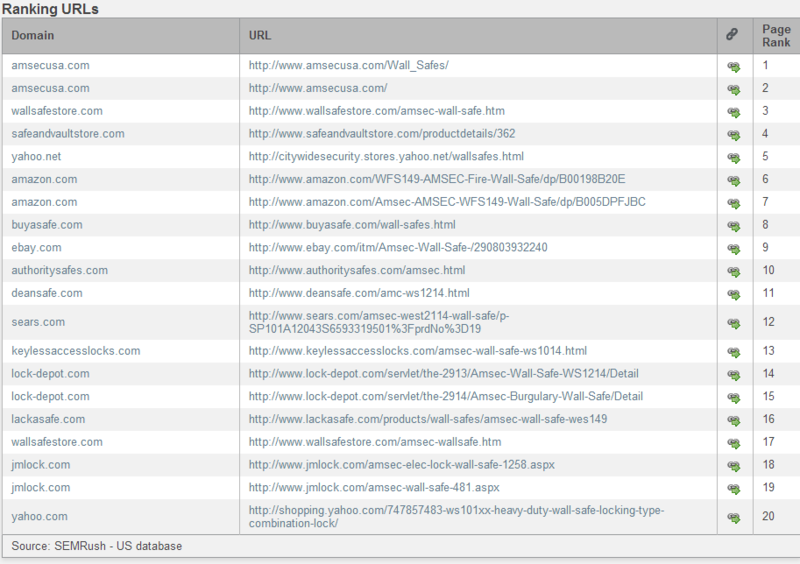 Gives you the standard results: Searches (Volume), CPC, Competition, and Competing Pages (Results). Also includes the Adwords CPC which is helpful in determining the perceived value of that keyword – how much are people willing to pay to rank for that term, which in turn determines competition. The Related Searches gives you valuable additional information, taking you in other directions you may not have thought of. The problem? It doesn’t show accurate competition data. By telling me the number of results and a competition value, I have no idea what the threshold of entry is. How many backlinks do the top 10 pages have? What is the Domain Authority? How many links from unique C classes? Without this data it’s almost impossible to determine if these are viable keywords. As with SEMrush, there isn’t significant competitive data. The keyword research is fast and functional, but without appropriate competitive data it’s like trying to fly with just one wing. One nice feature is they allow you to pull in data from Google’s keyword tool, as well as from their own database. Some say Google’s keyword tool isn’t very accurate so by using Wordtracker data you have another point of comparison. Another helpful feature is KEI. This means Keyword Effectiveness Indicator. This is a division of Search Volume by Competition. The higher the number, the better. It also gives you the idea of using filters which helps you sort the data. IF wordtracker included more comprehensive/thorough competitive analysis, it would be worth considering. This is a much more complete tool that Wordtracker. Not only does it give you the summary of traffic, competing pages, and CPC, there are easily accessible tabs where you can view competitive data, analyze the backlinks of a competitor, and look at an overview of the ranking components. In the SEO tab, under Backlinks, you can see the backlinks of a competitor including Page Authority of each backlink, PageRank, Alexa Rank, and anchor text. 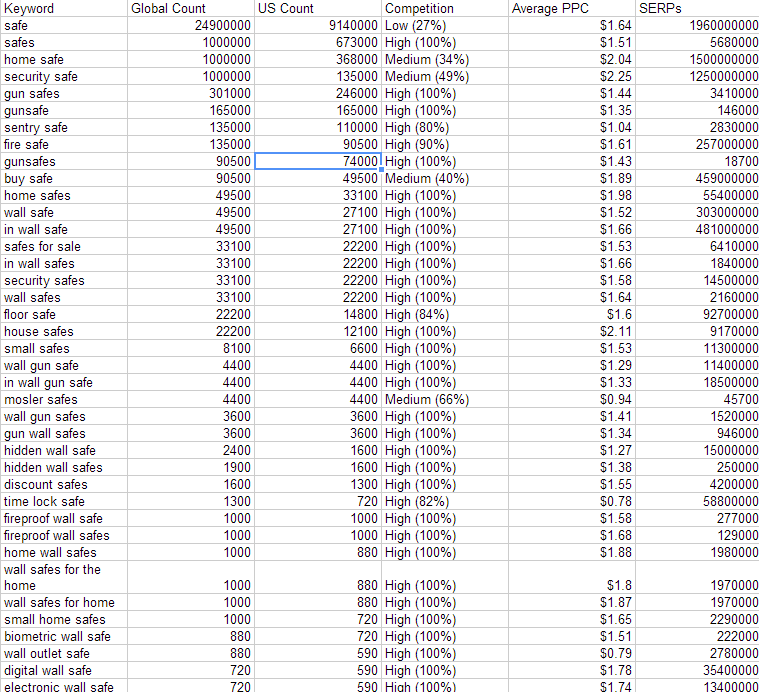 You can even see a breakdown of how many total links by pagerank, IP address, and anchor text. Finally, you can see both Page and Site Backlink counts including total number of links, domains, IP addresses, & links from .edu/gov. Finally, in the Link Finder tab, you can search for sites that might be suitable for link building to your site based on your target keyword. Overall Traffic Travis is a pretty complete tool. All of the data necessary is available, if somewhat fragmented and incohesive. It is difficult to make a decision at a glance as there are so many different tabs to research and view. People love Market Samurai. Instead of paying for a monthly subscription, you make a one-time payment for the tool. You can run as many queries as you like without limits or problems. The MAJOR downside: It runs from your IP as a desktop tool. It consumes your bandwidth and will create issues for your IP with Google. And it’s Pretty Slow. Every time you search you have to wait several minutes for it to fetch the data from Google. Making on the fly keyword research very difficult. As with most of the other tools, you can enter your seed keyword and it will grab other options from Google’s keyword tool. Then it includes a lot of other information that most other tools don’t have. SEO Traffic (SEOT) – The maximum potential daily clicks that a #1 ranked site for this keyword term could potentially achieve. Phrase-to-Board (PBR) – The percentage of phrase-match searches out of broad-match searches for this keyword. Trends – Indicates monthly traffic trends for a particular keyword. Adwords Traffic (AWT) – the total daily traffic (clicks) that a #1 ranked Google Advertiser for a keyword might expect to receive from their ads. Adwords CTR (AWCTR) – The percentage of people who click on the #1 ranked advertiser in Google (AWT) as a percentage of total traffic for a keyword. Adwords CPC (AWCPC) – An indication of what you might expect to pay to be the #1 ranked advertiser for a particular keyword in Google. SEO Comp (SEOC) – The total number of web pages globally that mention a specific keyword term, in the same (phrase) word order, in Google’s index. Title Comp (SEOTC) – the total number of web pages globally that mention all of the words in a keyword term in the title of the page. Title/Comp (SEOTCR) – this is the ratio of SEOTC to SEOC. A low score can indicate weak competition in a market. Adwords Comp (AWC) – represents the number of advertisers bidding on a keyword (worldwide), and how this compares to other keywords. OCI – An indicator of the chances that someone searching for a keyword is looking to buy as opposed to browsing for information. This is the default data when you perform a search for a keyword. By using their various filters and sorting options you can start picking out some of the best keywords to target. Then you can click on a button (the key icon to the left of the keywords) and you can create a new project. Based on the most appealing keywords, you can then do a competition search to see how viable it really is to rank for that term. In the SEO competition module you can look at some competitive data including Domain Age, Pagerank, Index count in Bing, as well as various Backlink Counts from MajesticSEO, including links to the page & links to the domain, and links from .edu or .gov domains. Finally, at a glance you can see if the page has a directory listing in Dmoz and Yahoo, and if the keyword is included in the Meta Title3, URL, Description, or a header tag. At a glance you can determine relevant on-page and off-page factors to determine if it might be viable for you to rank for that keyword. Missing? Anchor text and density. Market Samurai also integrates a Rank Tracker, which is helpful to see how your campaigns are progressing based on your chosen keywords. 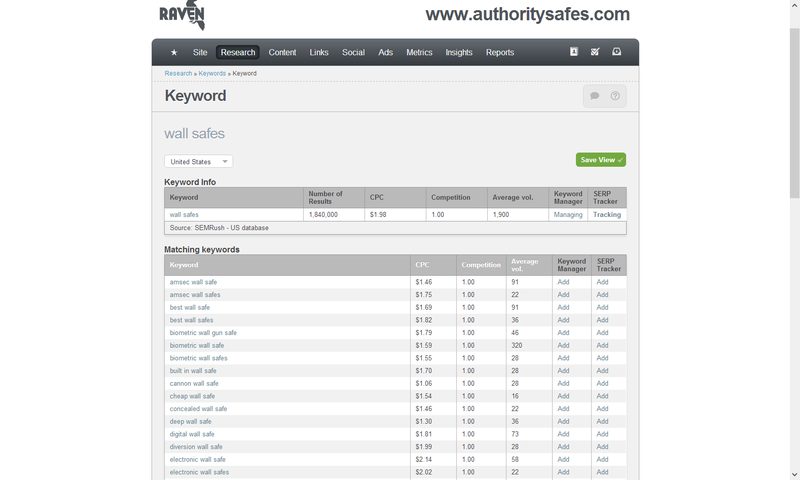 Raven scrapes SEMRush for their keyword database. They give most of the same information that the other sites offer: related keywords, number of results, CPC, competition, average search volume. The primary advantage of Raven is how well integrated it is, with a wide variety of data sources. 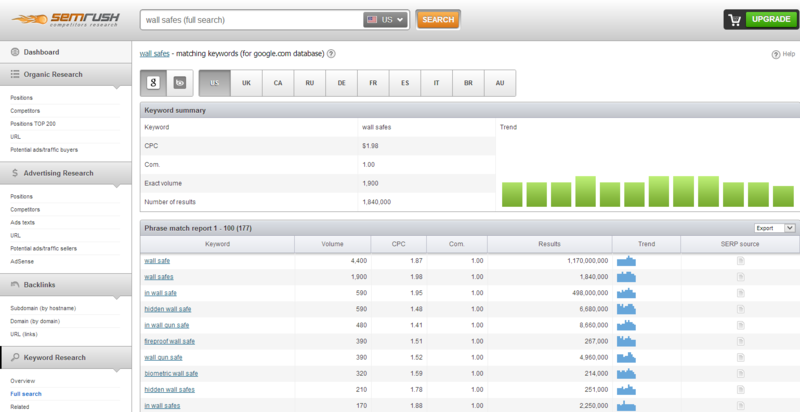 From the keyword research view you can add keywords to your keyword manager and SERP tracker. Except they will be trashing their SERP tracker due to Google’s API crack down. They have other modules that include researching the ranking domains for a particular keyword, but without including much of the data available on Market Samurai. Finally, you can do research on individual domains, and get various metrics including Domain Authority, Page Authority, MozRank, Citation Flow, Trust Flow, and SOcial Metrics. 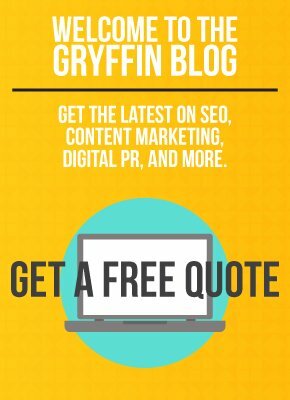 They include other data including a basic on-page SEO audit as well as backlinks to a site, but all of the data contains just the minimum amount of information without including detailed data. Has an impressive amount of data. It is especially useful for PPC advertisers. When it comes to PPC, Spyfu is to die for. It will tell you what keywords your competitors are bidding on, how you compare to your competitors in terms of visibility, and even daily spend. What’s unique about SPYfu is that you can gain a glimpse into your competitors long tail without having access to their analytics. Spy will give you a list of organic keywords that your competitor ranks for, and satas about each of those keywords. This is very valuable data! Different from all of the tools above, ScribeSEO exists within the context of content creation. Existing as a WordPress plugin or a standalone content manager, you can write your content into the editor and Scribe will suggest keywords within the editor. Once you type in a general idea for your project, you type in the seed keyword and the tool will suggest other terms. Then you can click on the keyword and you will see some suggestions from the Google API. You will then see a popularity score and a competition score percentage. The terms are color coded in green, yellow and red so you can, at a glance, select keywords. The tool will give you a grade based on how relevant your document and site is to the keyword you selected. Additionally, it gives you a density for that keyword, as well as prominence and frequency. As much as I like the integration, the popularity and competition scores are too vague and simply do not give enough information to be of value. A term may have low competition but it depends on too many factors. Perhaps the page authority is low, but what about domain authority? What about site age? For journalists and editors this may be a valuable tool because of its integration, but unless they present more valuable competitor data and keyword data, it can be very misleading. Link Assistant doesn’t have a keyword research tool. It does, however, have other interesting tools including competitor analysis with their SpyGlass tool, rank tracking, and site audits. Their primary tool is the Link Assistant tool that helps to identify link partners. 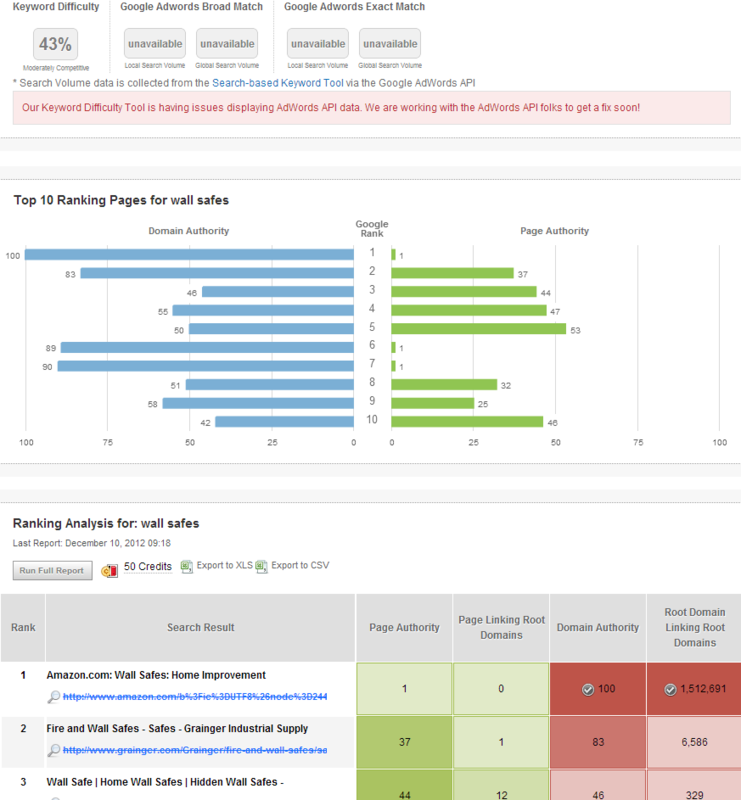 I found this tool quite helpful for the SEO Audit module, it pulls in great data when performing a site evaluation. As for Rank Tracking, it’s very poor. Only Enterprise users can export to CSV/Excel. Additionally, this is a desktop tool that uses your bandwidth. Running a report can literally take hours. The rankings are vastly inaccurate. It’s worth using when it comes to On-page Audits, spidering a site to gather information about their pages and titles, and perhaps using Link Assistant to search for possible link opportunities. Bar none, Link Research Tools has the best link analysis on the market. The amount and quality of the data pulled in by LRT is simply stunning. By evaluating the trends in competitor links you can determine exactly what you need to do to rank for a specific term. Oh how I wish they included keyword research and rank tracking. If they did, this would be the PERFECT tool suite for SEO’s and internet marketers. Sorry but I’m not talking! 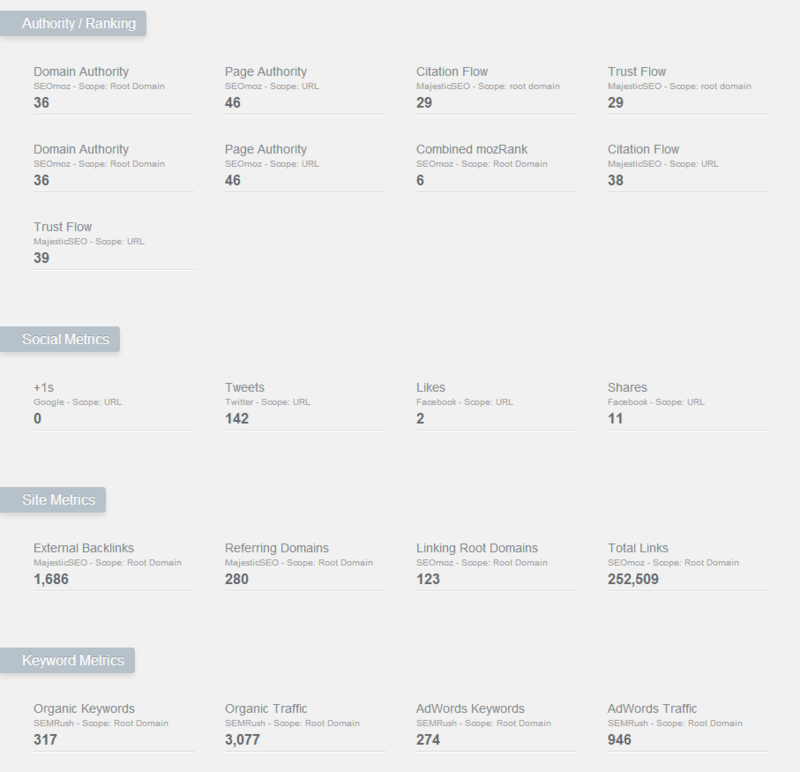 I found an AMAZING tool that does everything I want it to do, including keyword suggestions, various keyword stats and filtering, competition analysis, and rank tracking. If I could’ve dreamed up a keyword tool in both usability and functionality, it was this tool. If you want to find out what tool this is, send me an email, I’ll share privately! To select the best keywords for both SEO and PPC I recommend my favorite tool that I will not disclose. At a glance you can search for the best keywords, and with a single click you can instantly view the top 10 sites with enough statistics to determine if the keyword is viable to rank for. 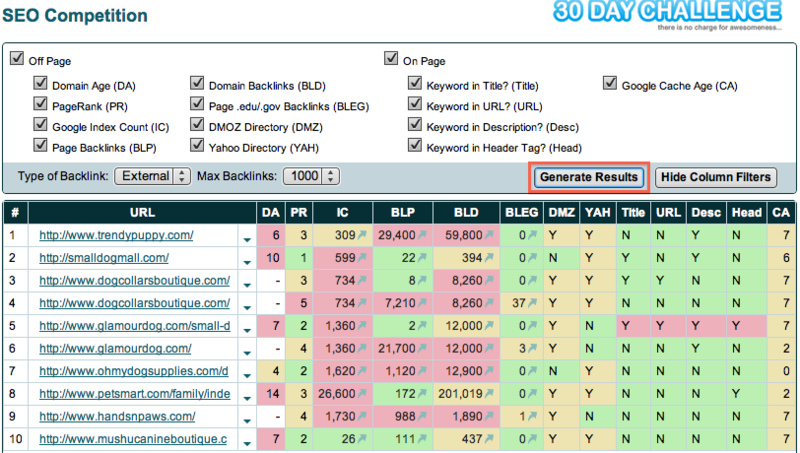 By adding the keyword to your Rank Tracker, you can determine if your efforts are fruitful. Data from SEOmoz is pulled into a few of the other tools so I do not think it’s necessary to pay for a subscription to their direct tools. Same with SEMrush. It simply does not incorporate enough competitive data and much of its data is included in other tools. Wordtracker does not have any unique features that would make it worth paying the monthly submission. For a yearly subscription of $97, Traffic Travis is not a bad choice. It does give you a ton of data including searching for the best keywords and pulling in a lot of data from Google. You do get bang for your buck as you can do both keyword and competitive research, including anchor text and type of backlinks. It’s a very complete tool for the value. The main problem: it will slow down your computer and takes time to gather the data. Like Traffic Travis, Market Samurai is another great choice. It’s a bit more cumbersome than Traffic Travis, but at $150, it may be worth it. It takes a while to become familiar with all of the fields. It’s great for affiliate marketers as it can help to discover good adsense niche keywords. Unlike other tools it does some on-page research including KW in title, domain age, and directory listings. For this reason, I think this would be a great 2nd tier tool. 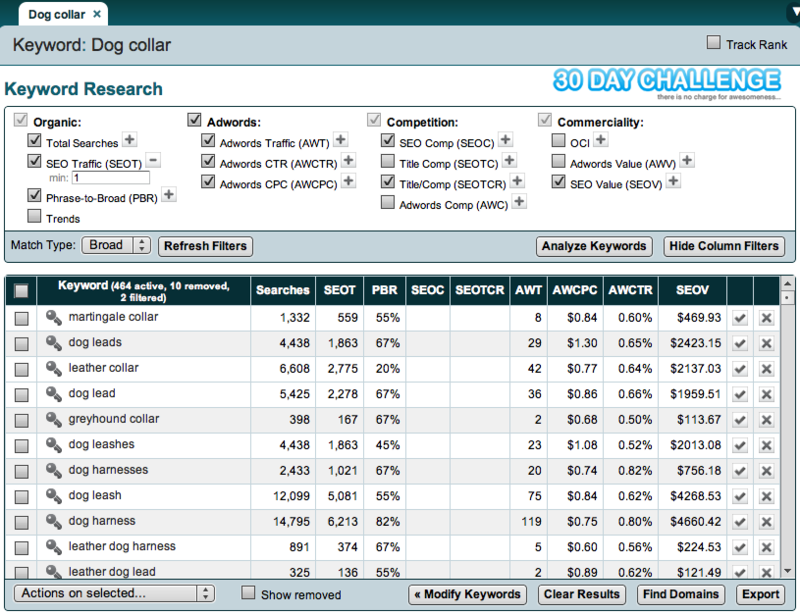 The price point makes it a good companion tool to run alongside other keyword tools. Without Rank Tracking, Raven Tools is simply not enough. There are a lot of other great features but it is missing a key component. More than anything Raven is a marketing dashboard, but if you cannot benchmark your success, you are handicapped. Raven pulls in some other great metrics, but these can also be seen in Google Analytics and other Social Media monitoring tools. Again, if you have the budget, this might also be a good companion tool, but I would not use it for keyword or competitive research. If you are getting into PPC, SpyFu has some great data that is worth reviewing and gets into more depth than the others. By giving you exact numbers for Broad, phrase, and exact match, as well as PPC cost per day and total number of advertisers, it would behoove you to use this information when launching a PPC campaign. What do you think about the tools mentioned above? Great post. I tested the Free versions Traffic Travis and Market Samurai long ago. Purchased Market Samurai as it was so much value for money. Also true that most suites don’t cover everything and everyone has their own set of tools from various Packages.